Start with the perfect Friday evening class: Practice slow, soft, movements accompanied by breath to unwind the surface tension throughout the body. This allows feeling into the deeper postural muscles, aiding in balanced joint spaces, offering healing to the joints. Conclude the practice with yin yoga postures laced with pranayama, and mindfulness techniques to sweeten the heart-mind and enhance the pranic field. A philosophical discussion will precede the practice as an on-ramp to the movements. The human spine is a marvelous design of vertical integrity with immense capacity for movement. The movement theories for the human spine may or may not match YOUR reality! In this class we'll dig deep into the movement possibilities while respecting individual experiences. Starting with the basic expansion and contraction of front and back body (ie. flexion/extension, cat/cow, down-dog/up-dog, etc.) and build from there into whatever presents as possible, satisfying, challenging, or fun! This movement of spinal flexion and extension resembles the expansion and contraction of the pulse of life itself, known in Yoga as "spanda". Together we'll embody this life-force expressing movement into shapes that inspire and inform each body-heart-mind. No two spines are alike, nor are any two asanas! Alignment as we know it in yogasana today has only been around for a few decades. The yogins of ancient times didn't know or care about the endless instructions about how or where to place their parts! They knew, intrinsically, what was the optimal position for posing in asana. Furthermore, they used that optimal position for their own body to quiet the mind and penetrate the deeper realms of existence! The asana must be received into the somatic field with sensitivity; invited to land in a way that respects and enhances the bodies capabilities, never forced onto the body. In this class we'll take a close look at the archetypal shapes of asana, study asana families, and compare that with our anatomical reality. We'll consider the "things that get said" about specific asanas and compare that to what our reality is! ...and it's different for everybody. In yoga, the udana vayu, or upward moving wind is said to carry the energy of awakening. The involvement of the bandhas can help or hinder this process, as well as organization of the body, especially placement of the neck and head. We'll start from the base and work our way up, laying the foundation for a well integrated structure, working especially close with the horizontal structures (ie. diaphragms of the body) where the bandhas take place. 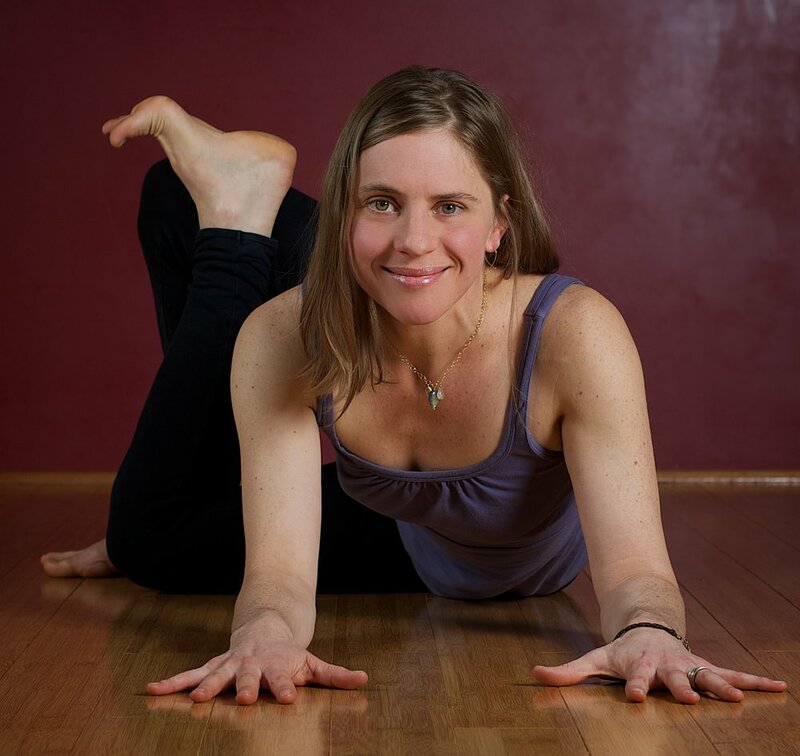 This class will include specific applications to organize the neck and head for optimal ease in inverting, plus preparing for integrated sitting, the traditional gateway to the more subtler realms. Learn more about Theresa here.